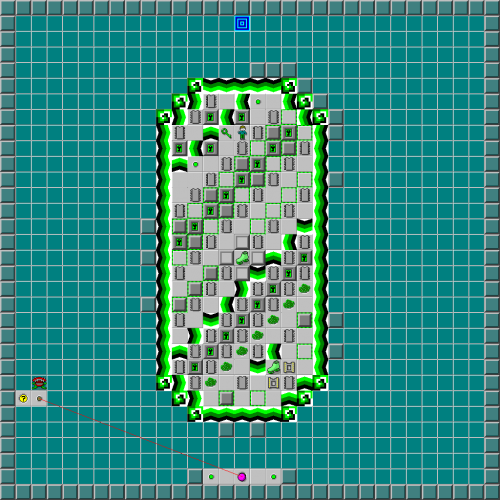 Stuck in Emerald - The Chip's Challenge Wiki - The Chip's Challenge Database that anyone can edit! If you're reading this, then you've successfully escaped the emerald and you're probably about to run out of time. 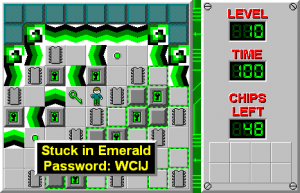 Stuck in Emerald is the 10th level in Chip's Challenge Level Pack 4. It was created by Josh Lee.